EAS Sarma, former secretary, Government of India (GoI), in a letter addressed to secretary, Department of Atomic Energy (DAE), GoI, with copies to chairman, Atomic Energy Regulatory Board (AERB) and chairman Karnataka Pollution Control Board, has said that radiation and environmental risks have been ignored in DAE’s proposal to set up Units 5 & 6 (2X700MWe) at Kaiga Nuclear Power Station in Karnataka. 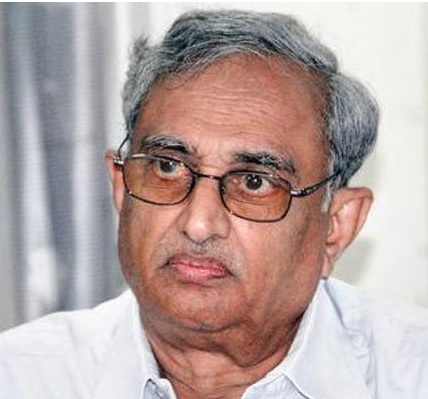 Post-Fukushima accident, says Sarma, who is based in Visakhapatnam, there has been "worldwide anxiety about the consequences of catastrophic nuclear accidents, either due to manual lapses or natural calamities", with many countries "opting in favour of setting up independent nuclear regulatory authorities to tighten the safety aspects of nuclear power." However, he regrets, "In India, AERB continues to be subordinate to DAE." According to Sarma, in the aftermath of Fukushima, "under public pressure, DAE had brought out Nuclear Safety Regulatory Authority Bill, 2011 on which the Parliamentary Standing Committee on DAE made several farreaching recommendations to enhance the independence of the proposed Nuclear Safety Regulatory Authority. "However, even after the lapse of 7 years, DAE has not cared to respond to those recommendations." Worse, the Environmental Impact Assessment (EIA) report "does not make any assessment of the risks associated with nuclear power generation units and their likely adverse impacts." I understand that a public hearing is scheduled to be held shortly in connection with DAE’s proposal to set up Units 5 & 6 (2X700MWe) at Kaiga Nuclear Power Station in Karnataka. I have gone through the EIA report, which, in my view, is far too inadequate to serve as a basis for any meaningful public consultation process, as explained below. India’s power supply system is already sub-optimally biased in favour of thermal power capacity that caters to steady demand. Compounding this is the fact that during the last decade or so, a large capacity of thermal generation has been cleared, worsening this problem further. I have enclosed here an analytical study conducted in August, 2011 by Pune-based NGO, Prayas, which showed that the thermal capacity in the pipeline would result in “three times the capacity addition that would be required to meet the needs of the high renewables-high efficiency scenario for year 2032 projected by the Planning Commission’s Integrated Energy Policy report”. As a result, the average PLF of thermal power plants in the country has steadily declined, leading to many new thermal power plants becoming unviable and the consequent NPAs burdening the banks. Adding 1,400 MWe capacity at Kaiga would therefore be economically and operationally inadvisable. Post-Fukushima accident, there has been worldwide anxiety about the consequences of catastrophic nuclear accidents, either due to manual lapses or natural calamities. Many countries are opting in favour of setting up independent nuclear regulatory authorities to tighten the safety aspects of nuclear power, whereas, in India, AERB continues to be subordinate to DAE. In the aftermath of Fukushima, under public pressure, DAE had brought out Nuclear Safety Regulatory Authority Bill 2011 on which the Parliamentary Standing Committee on DAE made several farreaching recommendations to enhance the independence of the proposed Nuclear Safety Regulatory Authority. However, even after the lapse of 7 years, DAE has not cared to respond to those recommendations, thus continuing with the existing system of AERB being subordinate to DAE. To propose additions to nuclear generation capacity without strengthening the regulatory structure would amount to exposing the people around Kaiga to huge risks. The EIA report does not make any assessment of the risks associated with nuclear power generation units and their likely adverse impacts. At a public hearing like this, the least that DAE could have presented is a risk analysis that should evaluate not only the radiation hazards arising from major accidents but also the impact on public health from low-intensity radiation. I enclose here an article (“Body’s adaptive response to low-dose irradiation”) authored by Shri K S Parthasarathy, a former scientist from DAE ((Raja Ramanna Fellow in the Department of Atomic Energy) on the likely adverse impacts of low-intensity radiation. When a public consultation is held, it is surprising that DAE should have presented a one-sided picture of the project, literally misleading the public. DAE/AERB/NPCIL ought to have periodically monitored the incidence of radiation-related diseases, including carcinogenic diseases around Kaiga and presented the findings as a part of the EIA. Failure to provide such information raises an apprehension in the public mind about the authenticity of the EIA and the ritualistic nature of the public hearing. There is considerable literature on the analysis of risks arising on account of catastrophic nuclear accidents similar to Chernobyl and Fukushima. I have enclosed here a research article “Global risk of radioactive fallout after major nuclear reactor accidents” based on probability studies authored by J Lelieveld, D Kunkel and MG Lawrence (scientists from Max Planck Institute for Chemistry, the Cyprus Institute, Nicosia, Cyprus and the Institute for Advanced Sustainability Studies, Potsdam, Germany) and published in Atmospheric Chemistry & Physics on May 12, 2012, which evaluates such risks. In particular, the study estimates the “enhanced risk for NPPs with multiple reactors and shared technical facilities”. The existence of 4 reactors has already enhanced the cumulative risk of an accident at Kaiga. Adding two more units of 700 MWe capacity each further compounds the risk. It is distressing to find that the EIA report is totally silent on the rich research literature that exists on the subject and its application to the proposed expansion project. A public hearing based on such a sketchy EIA document does no justice to the purpose for which it is supposed be held. The location of Kaiga is such that it has a continuing impact on the Western Ghats and its environment, including the water bodies. The Committee headed by Prof Madhav Gadgil has assessed the trends in relation to the ecology of the Western Ghats and the likely adverse impacts on account of industrial projects. The EIA report on Kaiga is silent on this, suggesting its inadequacy. 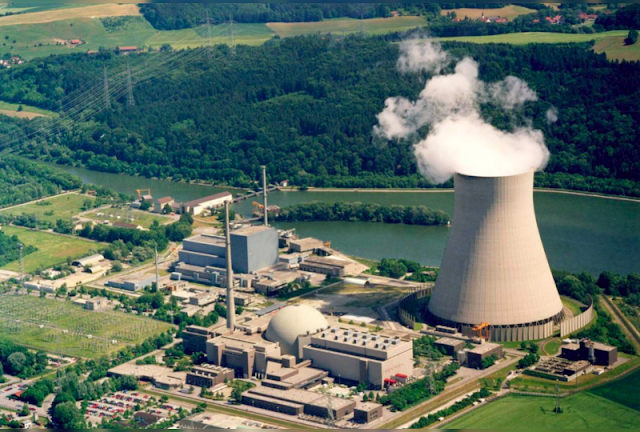 NPCIL has adopted a “zoning” system around nuclear power stations. Post-Fukushima, IAEA has proposed tightening the zoning system for enhanced disaster preparedness. The EIA report makes no mention of it. The consultant, MECON, who has prepared the EIA report, as per the list of accredited consultants published by Ministry of Environment, is not authorised to prepare EIA reports on nuclear power projects. Any public hearing held on the basis of such an EIA report should therefore be deemed to be vitiated on that ground. In view of these concerns, I feel that the proposed public hearing should be cancelled altogether. As the project is prima facie non-viable, in my view, DAE should not go ahead with the expansion units being set up. propose additions to nuclear generation capacity without strengthening the regulatory structure would amount to exposing the people around Kaiga to huge risks.